Population: 2,035,475 inh. - Surface: 5,255 km². This département is one of vast contrasts. It ranges from mountains (the Alpilles to the north, Sainte Baume and Sainte Victoire to the east) to plains and wilderness areas (Camargue). 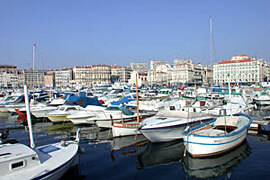 Densely populated areas (Marseille), forests, and a diverse coastline (creeks, beaches and harbours) add to this wide variety of Provençal landscapes and culture. This characterful part of Provence has something for everyone, whether it is the landscapes immortalised by Cézanne, the Santons from d'Aix, the ferias at d'Arles, the gypsies from Saintes Maries de la Mer, or even Raimu’s famous card game on the Canebiere or the wonderful colours of the fashion designer Christian Lacroix. 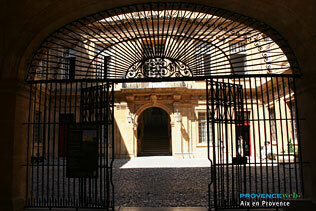 This département represents Provence in all its splendour. In Arles the typical Feria or bull runs attracts visitors from both far and near, This departement represents Provence in all its splendor. 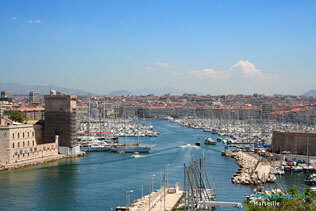 Marseille is a city apart from the rest of Provence, the second largest French city after Paris and the largest port in France. 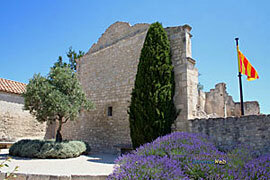 It is a generous cosmopolitan capital of the South, close to Aix en Provence which is so different and yet complementary. They are contrasting cities with their unique accents, old quarters and folklore traditions. 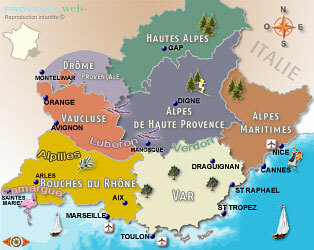 Together they play a major economic role in the Bouches du Rhône, as cities of science, technology and culture exerting considerable influence over the entire region, with Aix particularly strong in the cultural field. Nearly 20 km long and 4 km wide, stretching from Marseille to La Ciotat and Cassis this series of inlets covering an area of 4000 hectares is classified as the only site of its kind in Europe, with its steep-sided canyons, ragged ridges, white rocks pummelled by foaming waves, rocky cliffs rising to 400 m above the sea. 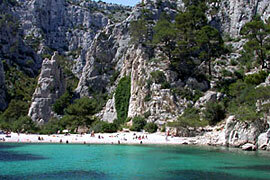 The Calanques can be visited by boat or discovered on foot walking along 160 km of way-marked paths. 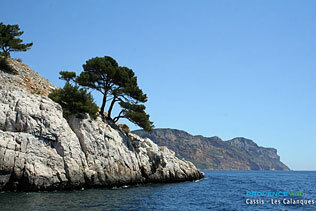 On the western edge of the département just south ofArles,is the place where the Rhône meets the Mediterranean Sea. The Camargue is a nature park covering 85,000 hectares, home to pink flamingoes, herons and cormorants. Its vast wetland plains, ponds and rice paddies are protected against the modern world. 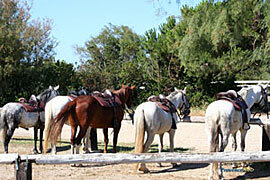 Wild it is and wild the Camargue will remain with its Gypsies, bull breeding and Camargue cowboys on their white horses. The Alpilles are another picturesque part of Provence to the north of the department and west of Luberon. Lying between Arles and Lamanon, with Saint Rémy in the middle, the Alpilles extend for 25km, surrounded by vineyards, olive groves, and almond trees. This area of limestone ridges, rough terrain, hill-top villages, and wooded valleys, is the kingdom of the cicadas and a workplace for shepherds. 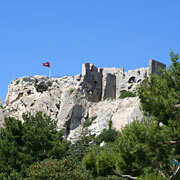 The wild Alpilles overlook to the south the rich cultivated valleys of Provence.